By raise of hand—How many of you think you are planning a cheap getaway and then you come back, start balancing your check book and realize that you WAY over spent? This has happened to me more times than I would like to admit. It stinks. It’s like taking that wonderful time off, wrapping it up as a present and then blowing it to smithereens. That is just a horrible way to treat a gift! After enough times, I decided I need to be a little more aware of what I was and wasn’t doing. So here are 5 ways that help me stick with a budget. Plan: So basic, I know but SUPER important. Most people book a flight and hotel room and then call of the rest good but really you need to have a skeleton plan of what you want to do while you are away. Will you be visiting attractions that have entry fees? Will you be doing a lot of shopping? Will there be the possibility of special services like spa treatments, luxury dining or limo rides? Is the place you are headed to going to cost more or less than what you would spend in your hometown (dinner prices are different in San Francisco than Keokuk, IA)? Reality Check: This is the step no one wants to do. You need to sit down with your bank account and decide how much of a hit you can take. Plan out your whole month. When is money coming in and how much will you need to cover already planned expenses. The left over amount is what you get to play with. It is great that you finally have time for a long weekend destination and you have always wanted to see New Orléans during Mardi Gras but does it fit in monetarily to your regular budget? Pay in Advance: Do your homework is also what this could be called. I like to have the “set items” paid for before I leave. Airfare, hotel rooms, and car rentals are usually paid for prior to leaving but you can also pay for your tickets to museums, shows and other amusements in advance as well. Some of these attractions might have discounts if purchased together or if you are a local member to any such group. How Much: Decide what your eating and spending habits will be while you are away. Will you be eating 3 meals a day or probably only eat one formal meal plus little bits throughout the day? How much is expected for a tip on services? Are you going to a place that is famous for something in particular and you know you are going to want to bring it back (When I went to China I knew I wanted to bring back jade and silk)? Day by Day: I figure out an amount that I can spend after all pre-expenses have been paid for. I then take that amount and mentally divide it by all the days that I am going to be gone and tell myself that is what I have to spend each day. If I have $1,500 saved up and will be gone for 30 days, I then have $50 to spend each day. That $50 has to cover everything during the day or you have to do less spending on other days. When the day is over, take 10 minutes to review how much you spent and keep a simple log (ie. Day 1 spent $43, Day 2 spent $65, etc.). Day by day accountability will keep everything in perspective. I even went on a trip once where I only used the cash I pulled from the ATM. When the cash was gone, I was done spending. 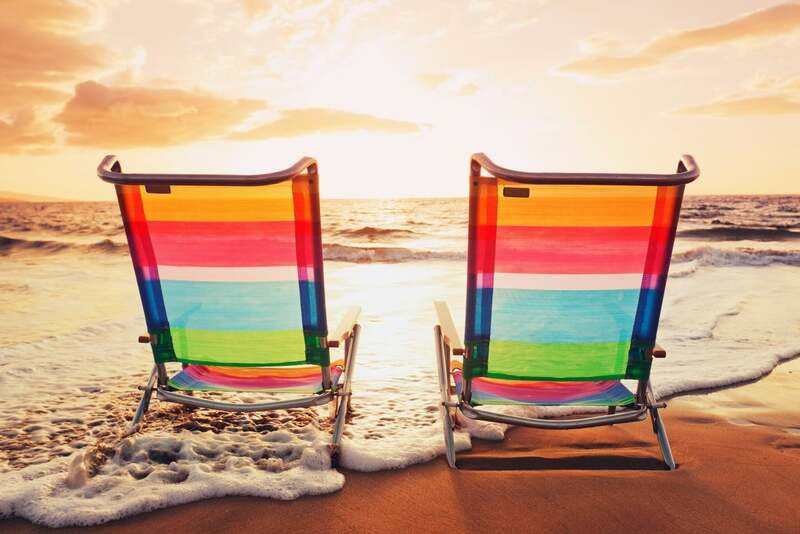 It sounds a little like I have taken all of the fun out of the vacation but really a little effort in the beginning and small budgeting practices can make the flip side of the vacation a wonderful memory instead of a painful regret. Great tips! By planning ahead it makes the vacation more fun and life after the vacation easier too. Look like great tips! My biggest problem is just being able to take a vacation! Hopefully I’ll get the chance to implement some of these ideas! You will. Hang in there, a vacation is just around the corner.